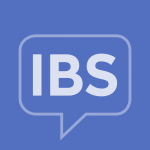 How Do You Get Through an IBS Flare-Up? IBS can be unpredictable. You can do everything right and avoid all your triggers, but symptoms can still flare-up out of the blue. When going through a flare-up, you’re often forced to cancel plans and stay home to manage symptoms in order to feel better. Our patient advocates, Becky Oleson, Emily Downward and Lisa McIntosh share some of the things they do to feel better when they’re stuck in the house managing an IBS flare-up. What do you do to get through a flare-up? Netflix binge? Sleep? Bath? Book? Meditation? Let us know in the comments!